Welcome to the L.A. CLINE Garden of Eden Flowers page where you can see some of the beautiful Archival Re-creations from the artist’s Floral Collection. 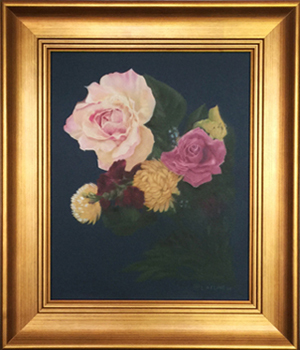 Now over 40 years the passion of floral pastel painting goes on. In addition to L.A. CLINE Garden of Eden Flowers the artist paints custom commissioned portraits clients’ homes and offices, with works that are on permanent display, which include portraits within the Lawson E. Thomas Courthouse Center in Miami, Florida; Florida International University in North Miami, Florida; Florida’s Third District Court of Appeal in Miami, Florida and the Sidney M. Aronovitz United States Courthouse in Key West, Florida. 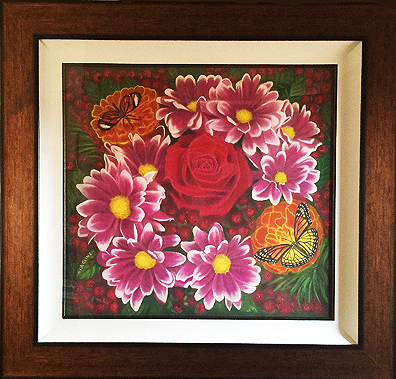 This page shows the Floral Collection of framed wall art created by L.A. CLINE started about 15 years ago. The Artist is know for the Archival Re-creations that match the original pastel paintings. These are some of the floral artwork the Artist has created. Two Fine Art Archival Reproductions of L.A. CLINE’s Original Memorial Portrait Paintings, The Honorable Judge Sidney M. Aronovitz and The Honorable Judge Lawson E. Thomas are in the Smithsonian Institute in Washington DC’s American Art and Portrait Gallery Library, in their “Living Artists File”. This file can be viewed by the public to learn about American Heroes and the artists that created their images. The “Living Artists File” also serves as a recommendation for future art commissions. L.A. CLINE’s Sports Collection of Paintings has been featured on ABC’s South Florida Channel 10, displayed at South Florida’s Sun Life Football Stadium and at the BB&T Hockey Arena. Over the years, L.A. CLINE has been featured in numerous art showings, magazines and galleries. 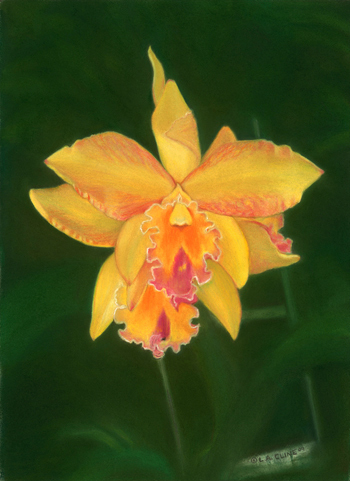 The Artist is a long-time member of the Pastel Society of America in New York City. 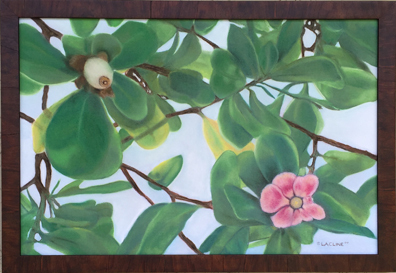 In January 2014 L.A. CLINE was awarded the People’s Choice Award for the Art displayed at the 7th Annual Fine Art Show at the Lauderdale Yatch Club. From August to October 2014, L.A. CLINE had the privilege of a solo Artist showing featuring a Collection of Archival Re-creations the Artist hand painted with layers of medium, at Neiman -Marcus, Fort Lauderdale. L.A. CLINE exhibited unique and hand painted Archival Re-creations show at the Agora Gallery in New York City. 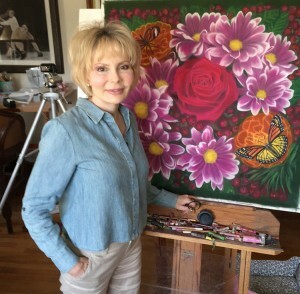 The Artist is featured in the November 2015 issue of ArtisSpectrum Magazine, presenting the new painting, “Romancing the Rose” http://www.artisspectrum.com/magazine/34/#56. L.A. CLINE will also be in VENU Magazine for November. This magazine comes out four times a year. The artist’s work are will be in the Art and Objects section and the exhibit mentioned in the Gallery Section. 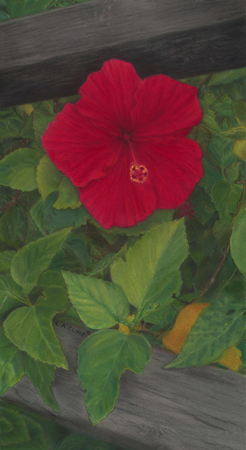 The new website, www.LACLINEfineart.com, serves as an in-depth portfolio of the many facets of the Artist’s work that includes: Corporate, Family, Florals, Landscapes, Pets, Wildlife, Entertainment and Sports Pastel Paintings. In addition to the other collections, the Artist has devoted the last fifteen years to creating a Nature Collection of Flowers that bring their beauty close up and personal. Selling on-line and with personal appointments. 2018 Setting up a new studio in Boca Raton. Exhibited a one man show and opening party at Nestler Poletto Sotheby’s International Realty. The art was up for two months. L.A. CLINE’s Pastel Paintings are the result of a multi-layered process. The artist starts with a pencil sketch to scale that is the blue print for the painting. Then carefully the Artist starts building the many layers 25 or so of colors and tone while ensuring the clarity of each line and shape. 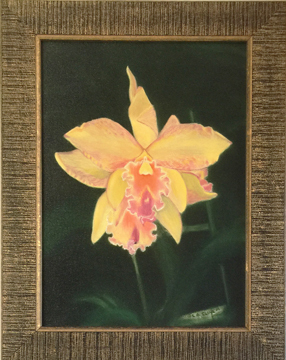 The finished Pastel Painting is then the source of the artist’s Archival Re-Creations that are hand painted with layers of same pastel colors used on the originals. Each Re-Creation has its own unique personality, appearance, museum quality and custom wooden frame. Presently L.A. CLINE is showing at the Boca Raton Museum Artists Guild, in Boca Raton, Florida and The Heart of Delray Gallery in Delray Beach, Florida. 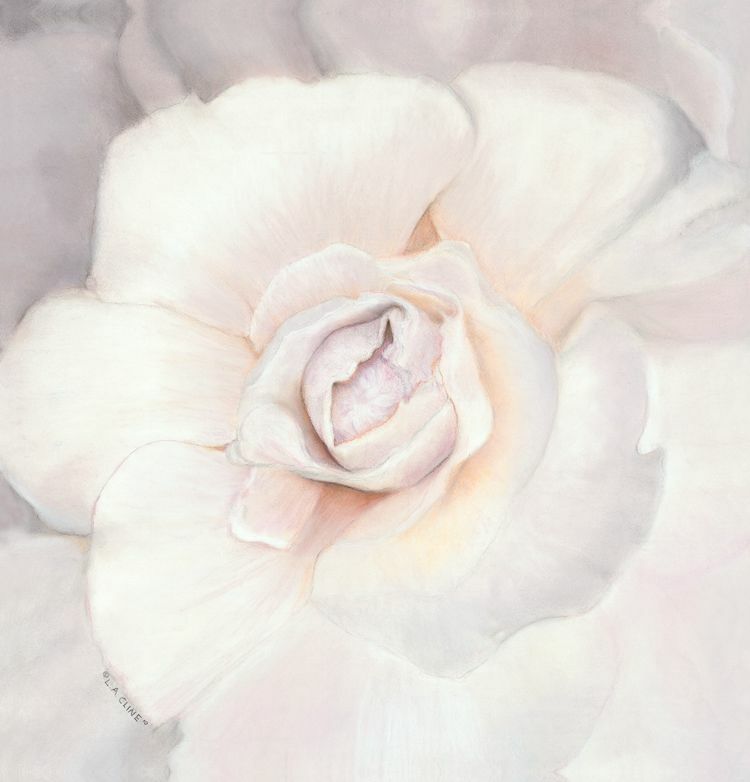 From the image of the Original Pastel Painting “Romancing the Rose” I created a 28″ x 30″ Fine Art Giclee Re-creation on Canvas that is heavily hand embellished with Pastel and Framed. 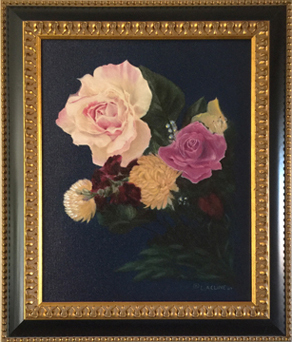 The frame includes a Linen Liner and a beautiful solid wooden frame with rubbed golden color in the center with a filet around the inside of the canvas. 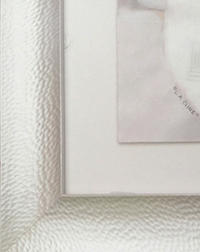 The piece is sealed with a un-breakable UV Plexi-Glass. With the frame the artwork measures 42″X 44″ and is sprayed with an Archival matt spray to protect the pastel. The second Fine Art Canvas Gilcee Re-creation measures 34″ X 25″ framed in a Gold Wooden frame with dimpling adding another texture. This frame has soft black sides and is a beautiful combination with the Fine Art Gilcee. Made to order. This fine Art Canvas Giclee Re-creation was created from the Original Pastel Painting. The perspective for this painting was like Michelangelo laying down and looking up at the ceiling as I looked up at the sky. The branches that runs through the painting is enhanced with acrylic that is mixed with a texture medium that brings out the branches. The framing is various individual solid pieces of wood all around the work that truly brings out the natural beauty of this re-creation. 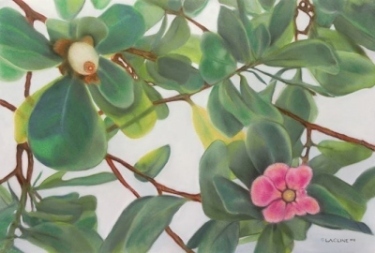 This work of art with overlapping light through the leaves measures 22 ½” X 32 ½” and is finished with a Archival spray that protects the art from UV rays. 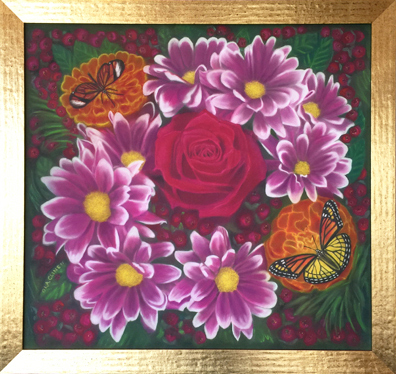 This 30” X 36” Fine Art Canvas Giclee Re-creation of the Original Pastel Painting is stretched over 2” wooden stretchers. The exciting contemporary design continues all around the edges and requires no frame. Each work of art is signed on the side with a word ex. “beautiful” that is important to the client. It is embellished with acrylic and oil paint. The piece is also sprayed with an Archival spray that protects the art from the UV rays and finishes the piece. No frame is needed. 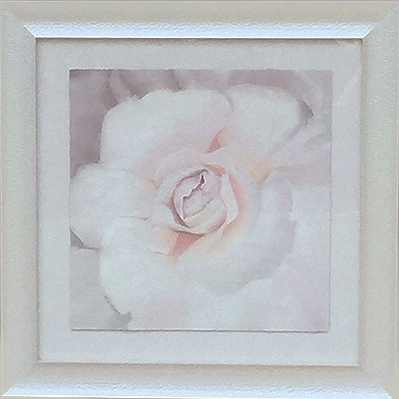 This beautiful Rose is a 23” X 23” Fine Art Gilcee of heavy cotton paper that I embellished by hand with same colors of pastel as the original and deckled edging floats over cream linen then framed with a iridescent pearl white frame. This Embellished art is from the Enchanted Bloom Series. This Lavender work of art measures 35” X 35”. 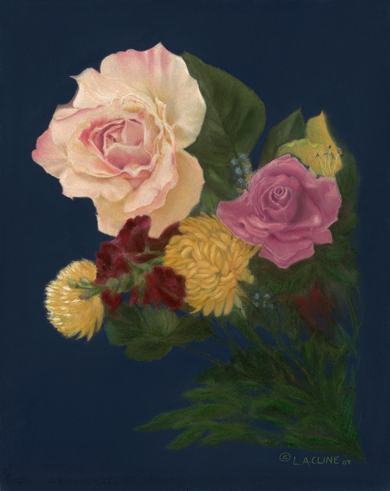 This Canvas Giclee Re-creation of the original painting pays homage to the Venetian painters as they used a dark background usually black to highlight their floral paintings. Here the Royal Blue contemporary background brings out the colors of this bouquet of Flowers. 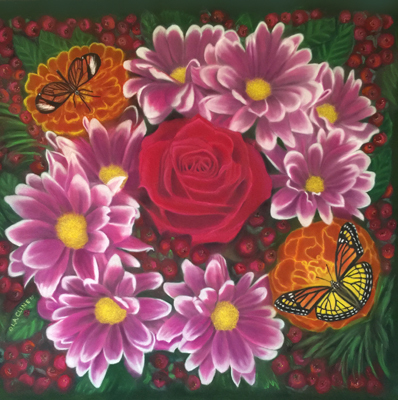 This re-creation of flowers on Canvas I embellished with oil paint and sprayed with an Archival UV protective semi gloss. The framing is gold-leaf with a overlay of a paintbrush like detail with three steps. This work of art measures 18” X 21”. This Framed 18” X 23”Fine Art Canvas Giclee Re-creation has the same sunlight brightness as the Original Pastel Painting. This Cattlelaya Orchid was over 10 inches in full bloom and an undeniable beautiful part of our world. This canvas is a shiny canvas and embellished with acrylic paint and sprayed with an Archival UV finishing spray that is a semi gloss. The frame is a unique wooden frame with yellow and black is a modern version that is so attractive for this Embellished Fine Art re-creation. This Hibiscus was just under the fence hid the flower from the sun that it was the brightest one ever!! It was so lovely that I spent days outside painting. The Canvas Fine Art Gilcee Re-creation I embellished with oil paint and sprayed with a UV protectant Archival semi gloss spray to finish the art. 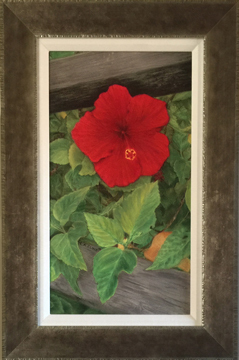 This work of art has a creme linen liner with a grey smooth finish for this wooden frame and measures about 16 ¾” X 24 ¾”. 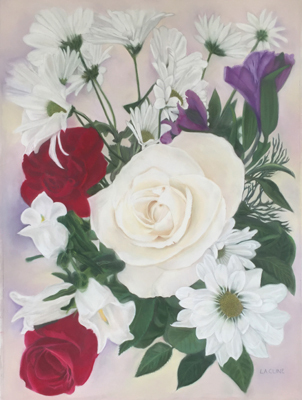 The organic and natural placement of the flowers is a very special element to this brand new painting. The colors are refreshing and the flowers are exciting showing the world how beautiful they truly are. I love painting flowers and I love re-creating my original paintings as Fine Art Giclee&#039;s. This Heavy Paper Giclee Re-creation I created are the first generation replicas of the original paintings. I am blessed to have the opportunity to be able to work with someone for over 20 to create these re-creations that I can share with you. This piece is heavily embellished with the same pastel as the painting giving this re-creation the closest resemblance to the original. The frame is a white/cream frame that absolutely gives this “Simply Beautiful” work of art the perfect breath of fresh air.